If you like to fish for BIG BONEFISH. Come to South Florida. From Biscayne Bay to Islamorada the largest Bonefish in the world can be found. Come stalk these beautiful flats and cast fly or light tackle at these giants. One of these monster bones will rip line from your reel like never before. 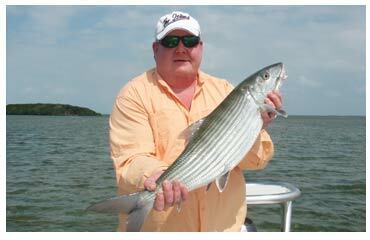 A bonefish fly fishing vacation to South Florida and the Florida Keys is absolutely world class! Home to some of the largest bonefish in the world the flats of Biscayne Bay and the Florida Keys are truly legendary. With Captain Brett Greco as your bonefishing guide you will be put into position to create a bonefish fly fishing charter of a lifetime! Due to the limited wade fishing access in the area, chartering a bonefishing guide with a specialized flats boat is the very best way to capitalize on your bonefish fly fishing vacation. Captain Brett Greco is a superb bonefish guide with the knowledge, skills, and equipment to ensure your bonefish fly fishing vacation is one you will fondly remember for years to come! February through July Tarpon can be found in varies places through out South Florida. During the winter and early spring months, when the weather cooperates. Tarpon can be found in great numbers in Flamingo and Everglades National Park. These fish are generally very eager to please the fly or light tackle angler. These Tarpon can range from juvenile fish of 20 to 40 pounds, to the giants that dreams are made of well over 100 pounds. From April through June is the prime time to fish South Florida’s annual Tarpon migration. 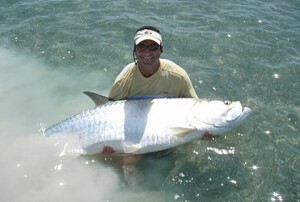 It is then that thousands of tarpon are pouring through the gin clear waters of Biscayne Bay and the Florida Keys. This is the ultimate knee-knocking sight-fishing experience. Imagine standing at the ready on the bow of a flats skiff as a school of 20 four to six foot fish slowly lumber towards you. You make the cast, presenting your fly well ahead of the school. As the fish draw near your fly you begin your retrieve. You break a tarpon out of the school, he follows your fly for what seems like a lifetime. With a giant flash of silver he engulfs your fly, you strike what feels like a runaway train. Chaos ensues. Come fish the flats and mangrove shorelines in the unspoiled waters of Everglades National Park for snook and redfish. Both Sight casting and fishing to structure are the techniques used to catch these prized game fish of South Florida’s back country. Snook and redfish are ferocious feeders and once hooked will get your drag screaming. Both are eager to please anglers of all skill levels. Considered by many to be the “Holy Grail” of the flats. South Florida offers the fly or light tackle angler the opportunity to pursue the largest permit in the world ranging from 8 to 50 pounds. 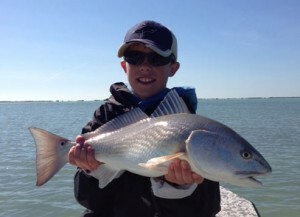 Fishing for permit on the flats offers the feel of a true big game hunt. They are an incredibly hard fighting fish with a seemingly endless stamina. 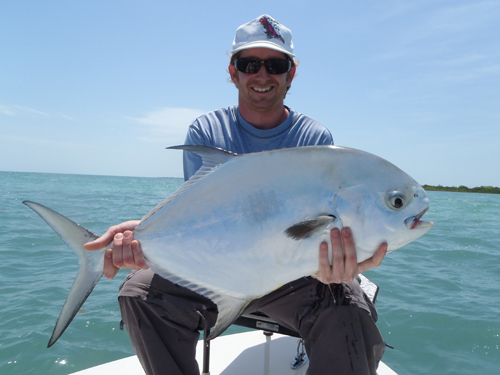 Not only will a hooked permit fight you with brute strength, they will also test your ability with their cunning. They will stop at nothing to dislodge your hook. From wrapping you around coral or sea-fans to grinding your hook into the sea floor, a fight with a permit is one you will never forget and make you thirsty for more. Book your fishing trip with Greco’s on the Fly when visiting South Florida or the Florida Keys.